Invented Here, Manufactured Here. 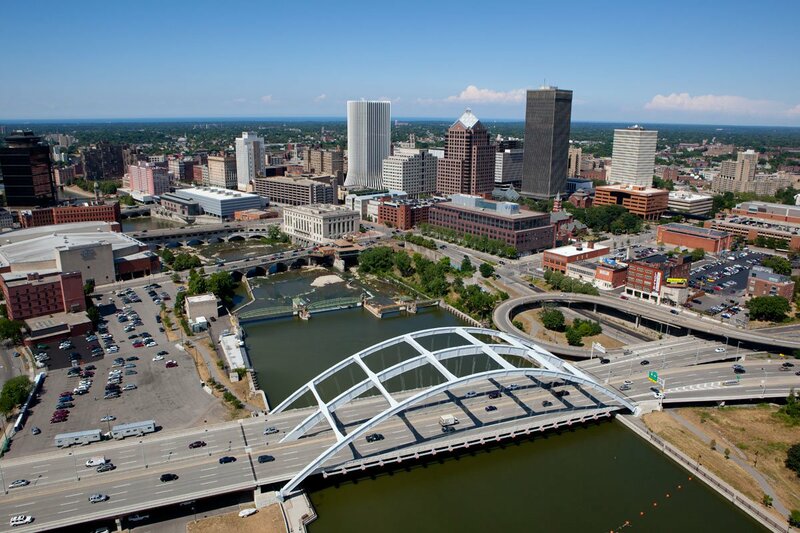 And why Rochester matters. A discussion forum on a Rochester, NY-based radio roundtable recently focused on how several national and statewide public sector initiatives could bring advanced manufacturing jobs back to the U.S. – and why Rochester is poised to get its share of those employment numbers. Roundtable participants stated that Rochester – once considered a key international center for imaging and optics – still has significant manufacturing assets and intellectual expertise help transform the region into a hub for clean and alternative energy innovation in the new economy. The challenge, they said, is leveraging available public sector programs and private sector financing with available commercialization and manufacturing infrastructure to advance innovation from early-stage laboratory research to proof-of concept prototype and on to full commercial scale. The participants, Mike Alt and Kelly Mandarano of Eastman Business Park; Robert Anstey, CEO of Graphenix Technology; Dan O'Connell, co-founder of American Fuel Cell; and Paul Ballentine, executive director of Center for Emerging & Innovative Sciences (CEIS) at the University of Rochester, agreed that the federal Manufacturing Communities designation for the nine-county Finger lakes Region, as well as the statewide Start-Up New York program gives area entrepreneurs, universities, incubators, private companies and accelerator programs like the one at Eastman Business Park a leg up in the competition for funds to support early stage development on the pathway towards commercialization. American Fuel Cell is one of several accelerator companies at Eastman Business Park who are benefitting by a growing national and regional mindset to “manufacture here” that which was also “invented here.” “For American Fuel Cell, there were a whole set of challenges from finding the right location, the infrastructure to assemble and safely test the membranes, and then develop the product to move out of the lab, and then scale up to this high volume production,” said Dan O’Connell of American Fuel Cell. Download the “Invented Here. Manufactured Here.” podcast heard on WHAM-1180 AM (8/11/2014).